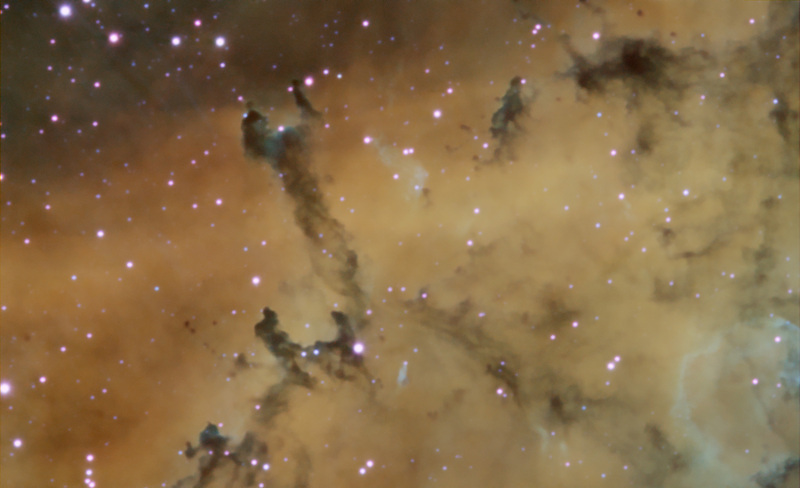 Explanation: What creates the cosmic dust sculptures in the Rosette Nebula? Noted for the common beauty of its overall shape, parts of the Rosette Nebula, also known as NGC 2244, show beauty even when viewed up close. 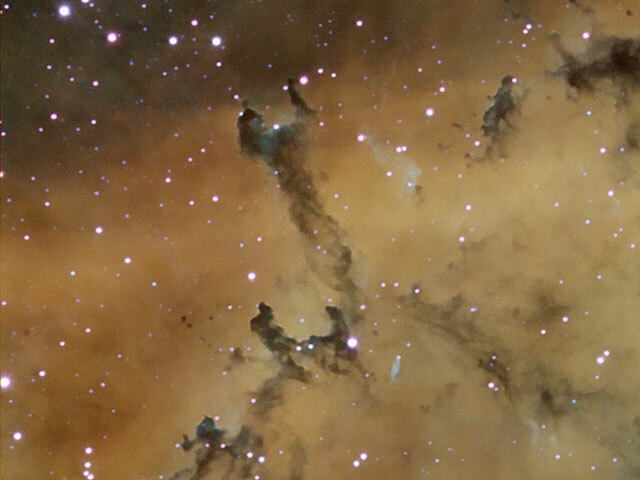 Visible above are globules of dark dust and gas that are slowly being eroded away by the energetic light and winds by nearby massive stars. Left alone long enough, the molecular-cloud globules would likely form stars and planets. The above image was taken in very specific colors of Sulfur (shaded red), Hydrogen (green), and Oxygen (blue). The Rosette Nebula spans about 50 light-years across, lies about 4,500 light-years away, and can be seen with a small telescope towards the constellation of Monoceros.